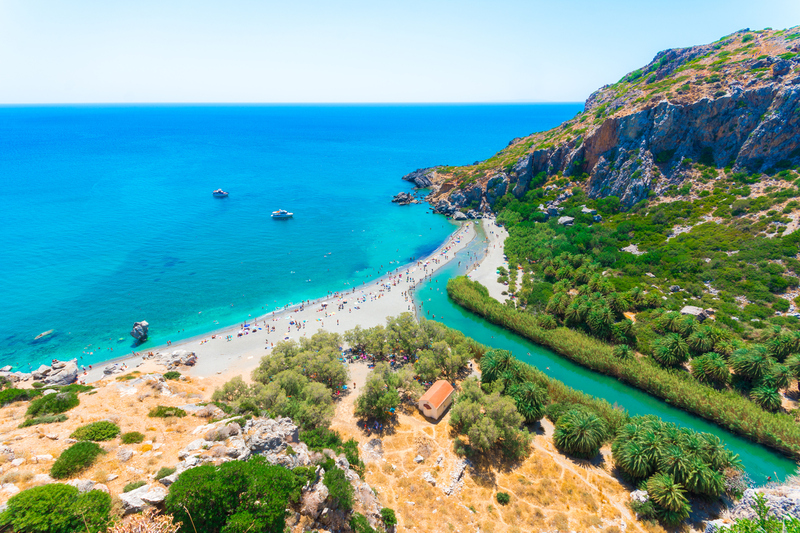 Around 40km south of the Rethymno, Preveli Beach is unique because it’s where the Kourtaliotis River meets the Libyan Sea. Popular since the 60s, the area is surrounded by lush palm groves and rocky cliffs which give the beach a remarkable appearance. 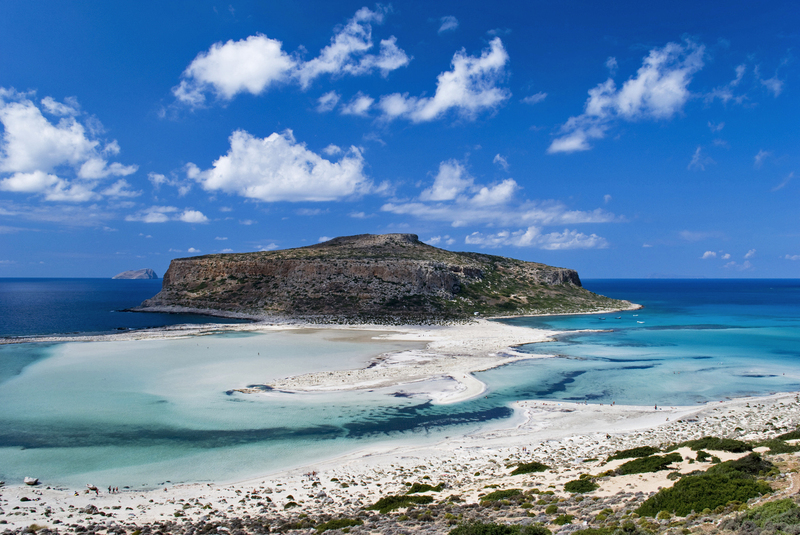 The protected area of Balos Lagoon in Chania is largely deserted on the peninsula of Gramvousa. It’s one of the most photographed beaches for its exotic white sand and vivid turquoise waters which are compared to that of the Caribbean. It’s home to rare species of flora and funa, wild birds, turtles and more. Nearby, there’s a 16th century Venetian Fort high on the cliffs worth visiting. 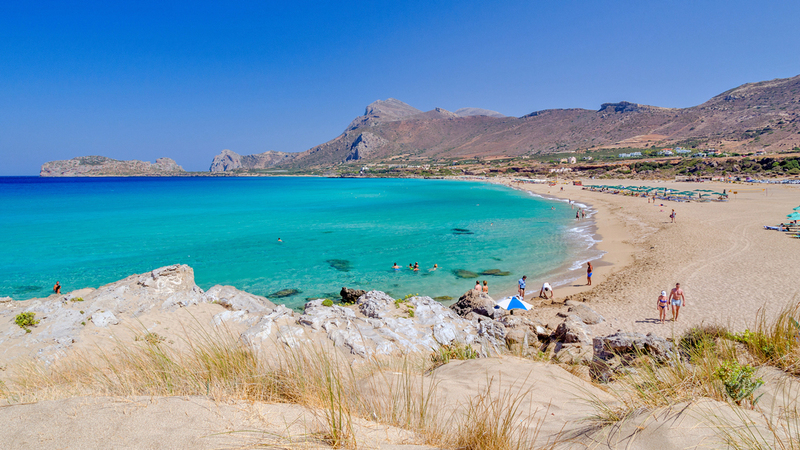 Falassarna is a popular seaside resort on the western coast of Crete, great for family days out, sunbathing and watersports – especially windsurfing. Spanning five consecutive beaches, the central beach is the most visited. Crystal clear shallow waters make the beach ideal for swimming, while the spacious stretch of sand accommodates busy periods. With the largest palm grove in Europe (5,000! ), Vai Beach sits east of Agios Nikolaos. It was first made famous in the 70s after a TV commercial. The tropical backdrop of this crescent shaped beach means it’s popular during the summer months, attracting all types of crowds while offering a sense of privacy. 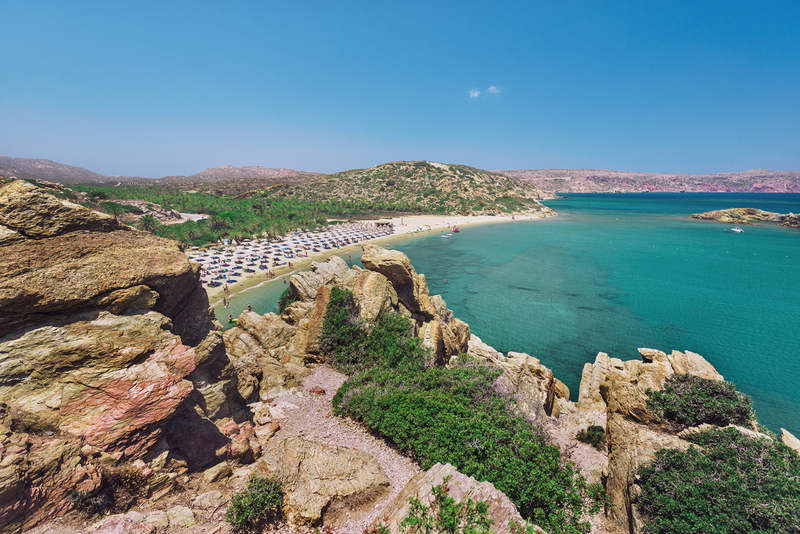 Once a local haunt, this remote peninsula and lagoon grew in popularity a few years ago after being named one of the best in Crete. 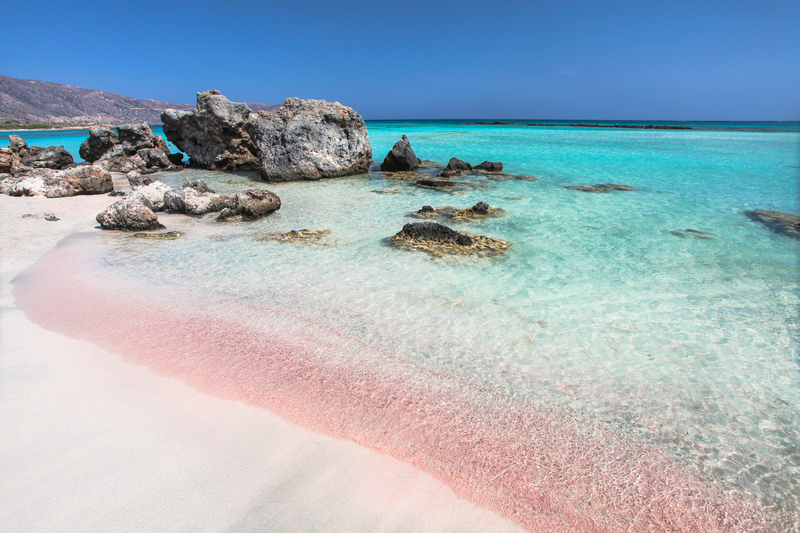 Its main appeal is the pinkish sand that comes from the small shells that line the sea floor. The waters are warm and shallow for paddling in, with a mile of sand to roam along. This protected area is also home to loggerhead turtles and sand dunes.